READ (18/20) Changes at Fairacre FREE online full book. 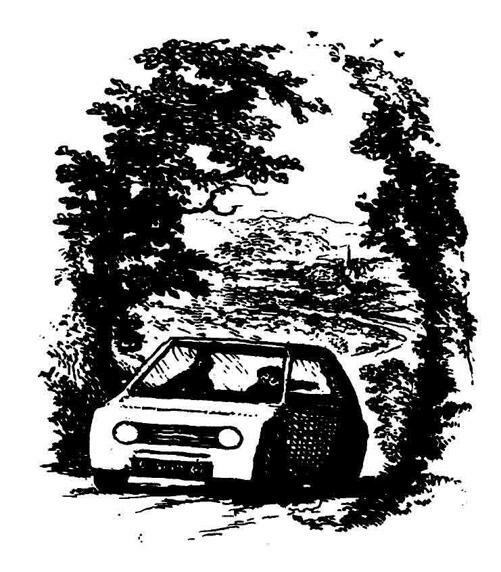 In the 35th novel to be set in the tiny British villages of Thrush Green and Fairacre, the characters and settings are as familiar and comfortable as old shoes. The pseudonymous Read has created an orderly universe in which people are kind and conscientious and cherish virtues and manners now considered antiquated elsewhere. But unwelcome changes are making themselves felt in the villages. 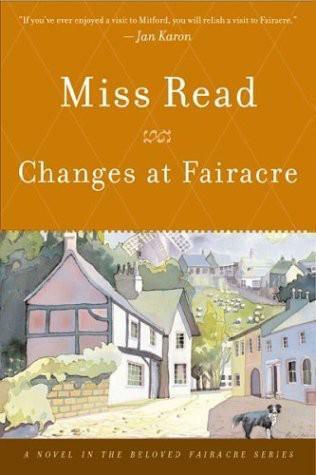 Miss Read inherits Dolly Clare's little cottage at Thrush Green, her grief at the death of her old friend and mentor somewhat assuaged by the security of home ownership; the declining enrollment at Fairacre School, where Miss Read teaches, may lead to its closing. Improved highways, higher salaries and the ubiquity of the automobile have enabled many Fairacre inhabitants to shop in distant cities and educate their children at larger schools miles away. Bucolic life has given way to those of the busy, two-income commuter families who have scarcely enough time to plant a few flowers in their gardens. The novel's slight plot sometimes gets in the way of Read's wonderful descriptive abilities, but her characters, as always, fairly leap off the pages; the cantankerous, Cassandra-like Mrs. Pringle; her feekless daughter, Minnie; the crusty old factotum, Mr. Willet; and the young Joseph Coggs-are all completely believable. Read writes with deep affection about what she knows and never succumbs to the temptation of clich6s. An occasional visit to Fairacre offers a restful change from the frenetic pace of the contemporary world. Copyright ©1992, Kirkus Associates, LP. All rights reserved. SPRING came early to Fairacre that year. Half-term was at the end of February and I had seen the school children off the premises, at four o'clock on the Friday, to run home between hedges already beginning to thicken with plump buds. A few celandine already starred the banks, and in the cottage gardens, and in mine at the school house, the daffodils were beginning to follow the fading snowdrops and early crocuses. In all my years as head teacher at Fairacre School, I had never before seen such welcome signs of spring at half-term. I could remember the lane deep in snow in earlier Februaries, awash with puddles or glittering with ice. There might perhaps have been a flutter of yellow catkins or a few hardy sticky buds showing on the horse chestnut trees, but this balmy weather was rare and wonderful. Bob Willet, our school caretaker, church sexton and general factotum in the village, was not quite as euphoric as I was. 'I'm going to see Miss Clare during the weekend,' I told him, partly to change the subject. I agreed that she was, and we parted company amicably. Dolly Clare, who lived at the next village of Beech Green, knew more about Fairacre School than anyone in the neighbourhood. She had attended it herself as a pupil, and later as a teacher. When I arrived to take up my headship, she was nearing retirement and in charge of the infants' class. She was a dignified figure, tall, straight-backed, white-haired and extremely gentle. I never heard her raise her voice in anger, and the small children adored her. Her teaching methods were old-fashioned. The children were expected to sit at their desks and to work at them too. There was mighty little roaming aimlessly about the classroom, and if a child had a job to do it was expected to finish it tidily, and with pride in its accomplishment. By modern-day standards the infants' room was unnaturally quiet, but there was happiness there and complete accord between teacher and pupils. The children trusted Miss Clare. She was fair, she was kind, she looked after them with steadfast affection. They were content to submit to her rule and, in truth, a great many of them were happier here, in the warmth and peace of the schoolroom than in their own homes, so often over-crowded and noisy with upraised and angry voices. In such a rural community, farming was the major industry. The horse then ruled, and there were carters, farriers, wheelwrights and horse doctors in attendance upon the noble beast, who drew the plough, pulled the carts, provided the family transport and generally governed the ways of the agricultural community. Families were large and it was nothing unusual to find parents with eight or ten children. In the early days of Miss Clare's teaching the school had almost one hundred pupils. The school leaving age was fourteen, but many left earlier if a job cropped up. It was no wonder that Fairacre School was such a busy and crowded place. Long desks held children in a row, and there was little chance of fidgeting going unnoticed. By the time I arrived the school took children up to the age of eleven, and after that they went on to the neighbouring village school at Beech Green, where George Annett was the headmaster. Here they stayed until they were fifteen, unless they had qualified for a place at the local grammar school in Caxley, and had departed thither after their eleven-plus examination, knowing that they could stay until eighteen, if need be, possibly going on from there to a university, or perhaps higher education of a technical kind. From the first, I felt the greatest respect and affection for my colleague, Miss Clare. She was a mine of information about Fairacre and its inhabitants, for she had taught most of them and knew their foibles. She had started life in the local market town of Caxley where she and her older sister Ada began their schooling. Her father, Francis Clare, had been a thatcher and there was plenty of work to be done. Not only were there a great many thatched cottages and barns in the neighbourhood, but at harvest time the newly-built ricks were thatched, and Francis was in great demand. At the age of six Dolly and her family moved from Caxley to a small cottage at Beech Green, and there she grew up and still lived. The one love of her life had been killed in the 1914—18 war, and perhaps this accounted, in part, for the warm devotion which generations of young children had enjoyed under her care at Fairacre School. They gave her the comfort and affection which a family of her own would have supplied in happier circumstances, and both Dolly and her charges benefited. She had shown me soon after we met the contents of an oval gold locket on a gold chain which she wore constantly round her neck. On one side was the photograph of a handsome young man, and facing it a lock of his auburn hair. Dolly Clare and I worked in perfect accord until her retirement. Since then I had visited her at least once a week in the Beech Green cottage which had been thatched by her father and, more recently, by a man to whom she had given her father's tools when he had died. Frequently she came to stay with me at the school house, and was a welcome visitor to the school itself. The fact that she out-lived her own generation and knew very little about her sister Ada's children and their progeny, meant that her friends were doubly precious to her. I was honoured to be among them. A few years earlier she had told me that her cottage and its contents had been left to me on her death, and that I was to be one of the two executors. Such overwhelming generosity stunned me, and made my future secure for I had no real possibility of buying property, and of course the school house went with the post of head teacher. Dolly Clare's wonderful gesture had given me an enormous feeling of gratitude and relief. I knew that I could never repay or thank her adequately. Later that Friday evening, when I was still relishing the thought of half-term stretching before me, there was a knock at the back door. 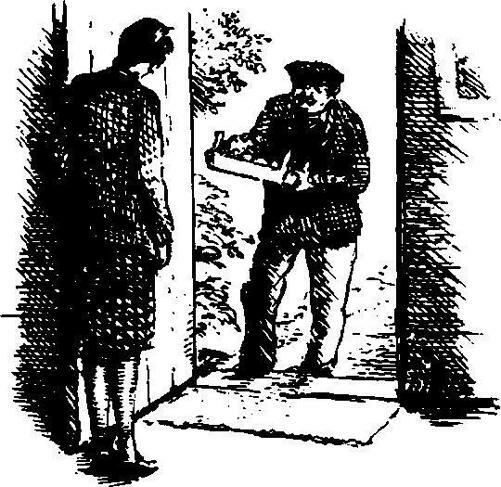 There stood Bob Willet, holding a shallow box which contained an assortment of vegetables.